With the new year comes new equipment here at Squeaky Wheel! Now offering the Tascam DR-70D audio recorder, with four inputs and the ability to monitor, control and sync audio directly to the Canon 5D Mark III. And while we’re talking cameras, check out our new Tamron 70-200mm f/2.8 lens. Both now available for rent, call us at (716) 884-7172 or contact mark@squeaky.org for cost and reservations. With four balanced XLR mic inputs, individual gain controls, and the ability to instantly sync audio to a DSLR, the DR-70D is a perfect addition to your video production arsenal. This compact digital recorder has a top mount for your camera and a tripod mount underneath allowing it to seamlessly fit into your video production workflow. 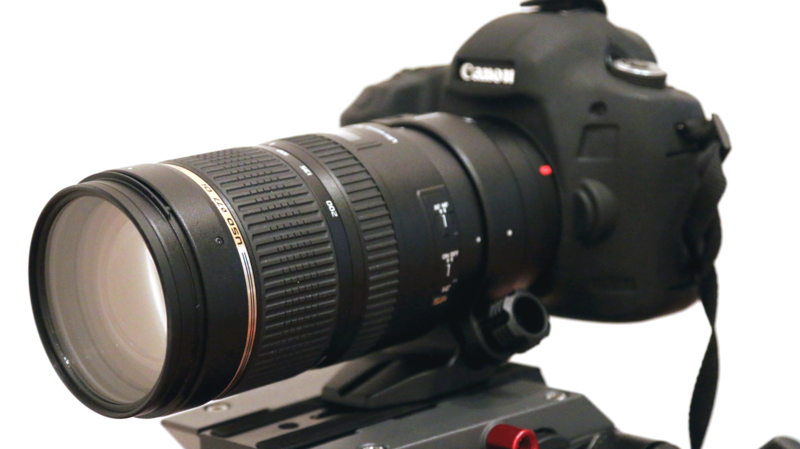 This lens brings you ultra sharp images in the industry’s smallest body. The f2.8 opening allows you to create beautiful images with distinctively soft depth of field, and with Tamron’s proprietary USD (Ultra Silent Drive) this lens has a quick and quiet autofocus perfect for both photography and video.